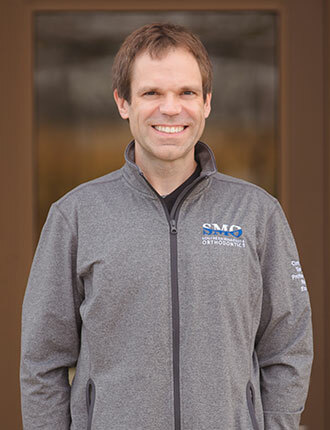 My first visit to Southern Minnesota Orthodontics was as a patient when I was a teenager! I’m looking forward to meeting you and helping you achieve a beautiful new smile. I am a native of Mapleton and I am excited be back living in the area. I am a graduate of Gustavus Adolphus College, where I received my Bachelor of Arts in biology. I was elected to Phi Beta Kappa, one of the most prestigious honor societies for liberal arts and sciences. Following college, I studied immunology at the University of Minnesota before attending dental school. I received my dental degree from the University of Minnesota School of Dentistry and was elected to the Omicron Kappa Upsilon dental honor society. I continued my graduate education, orthodontics specialty residency, and Master of Science in dentistry at the University of Minnesota. In addition to orthodontics, I enjoy downhill skiing, rock climbing, and raising corn and soybeans at my family’s farm in Mapleton.